Four modules set ready for transport to the constructions site on of GDC Pilot South Camp in Mostar. Production of four reversible modules for GDC has been finalised in the factory of “Konstrukcije” in Mostar. 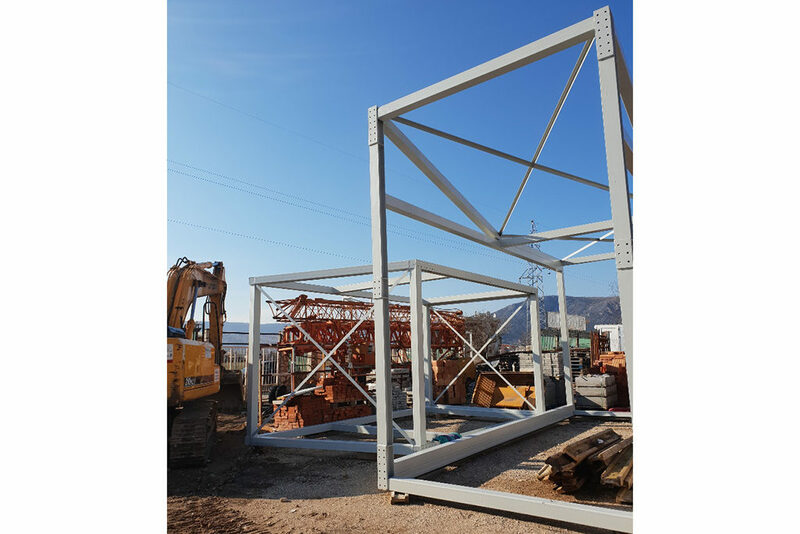 In Mostar, in the facility of Konstrukcije, the second steel module for the GDC is now being constructed. 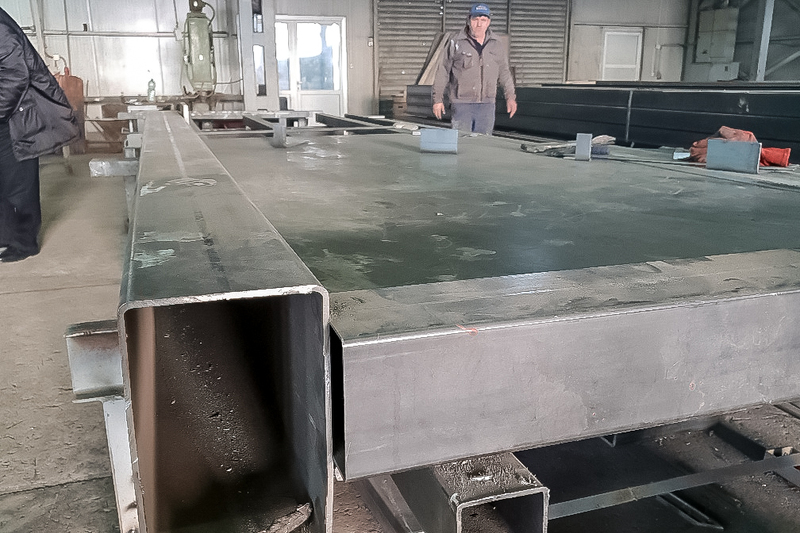 The first out of four steel modules for GDC has been assembled by local constructor ‘Konstrukcije’ in Mostar. The GDC facade system is fully reversible and contains 95% of biobased material. We assembled it without additional fixing devices. 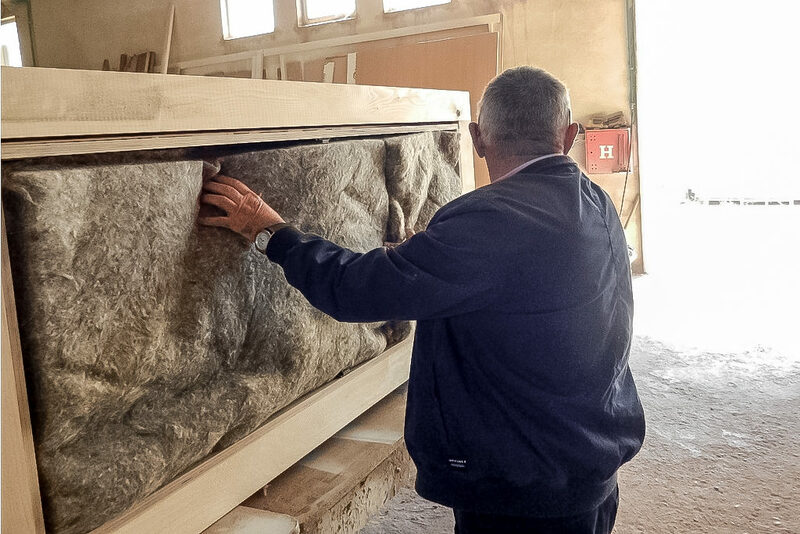 The process has been monitored by the University of Mostar. 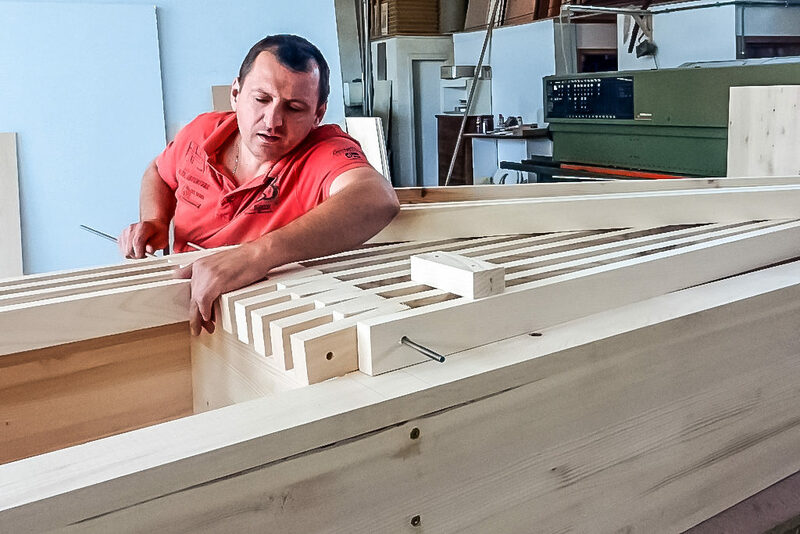 A local construction company in Mostar is preparing dry demountable connections in wood without any fixing material. These are fully bio-based building components assembled for the GDC. The city of Mostar hosted a 2-day workshop on Social mapping and social impact of this circular construction project on the neighbourhood, the city and the region. 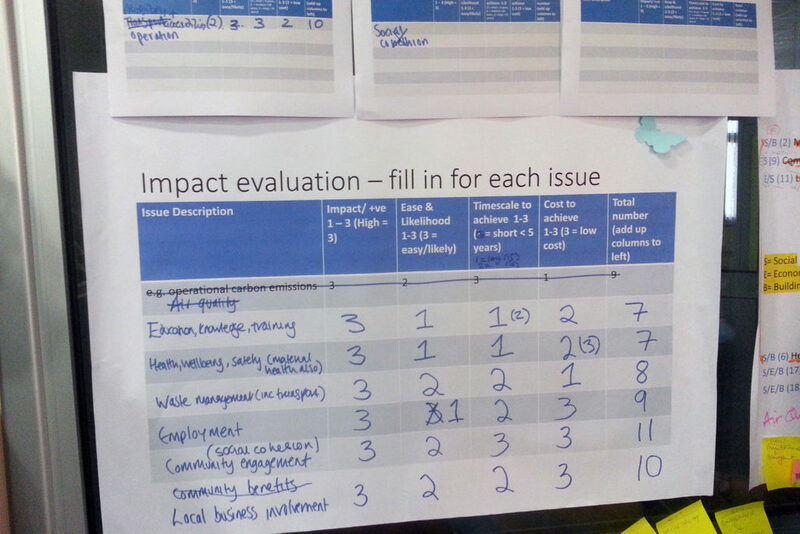 It was co-organised by GDC Pilot leader SGDF, the city of Mostar, BRE and BAM UK, and involved local stakeholders. This reversible connection enables the disassembly of the facade finishing without affecting the facade frame. It is made possible by adding an intermediary element (made of steel) between two wooden elements. 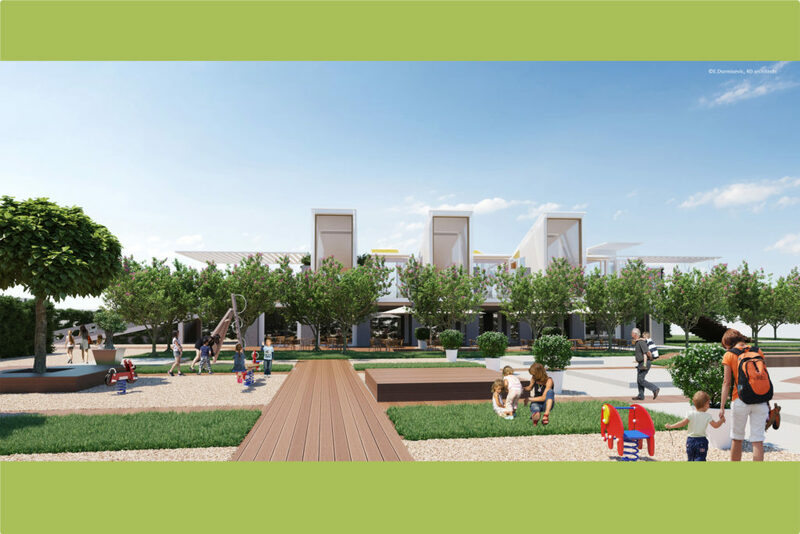 GDC is designed with independent modules that can be organised in different configurations. The form and configuration of five independent modules are presented here. Two such 3D modules will be placed on a steal grid. This will provide flexibility in moving and positionning the units. 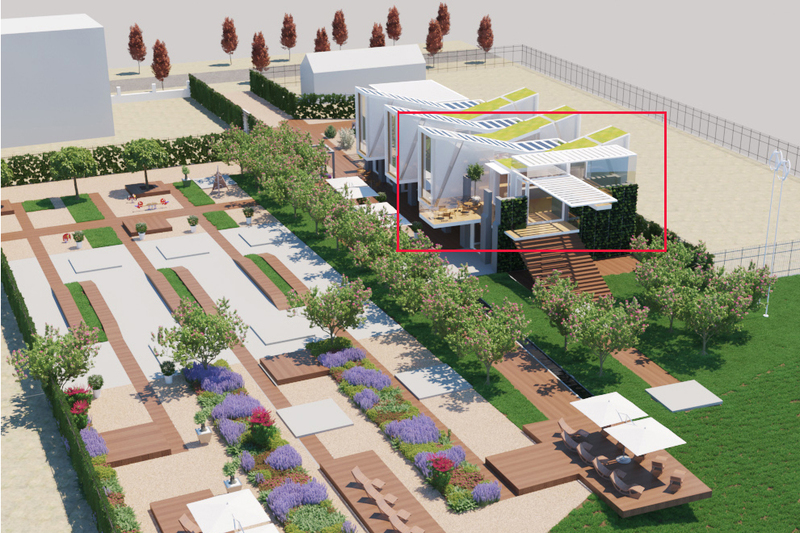 We are preparing the full prefabrication of the first 2 units of the Green Design Center: one with reversible green roof using local plants and one with a reversible PV roof. 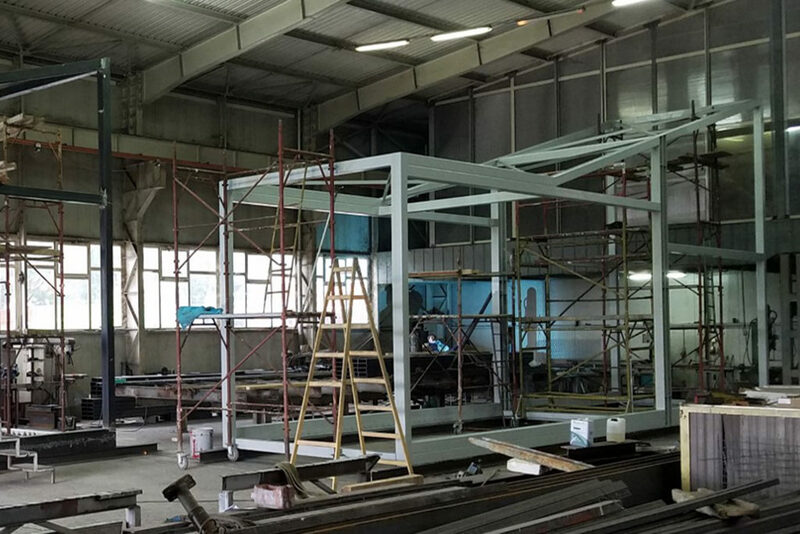 Once fully finished, they will be transported as 3D modules to the site. 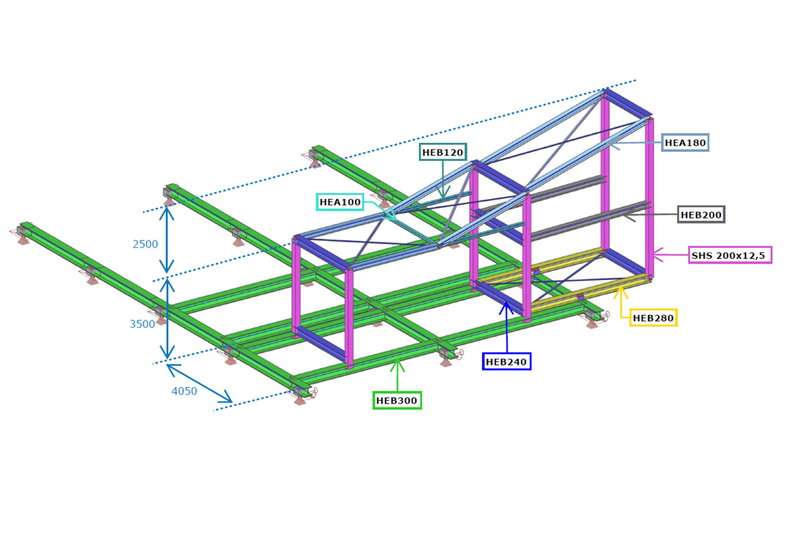 How easy is it to assemble and disassemble the reversible facade A++ panel? 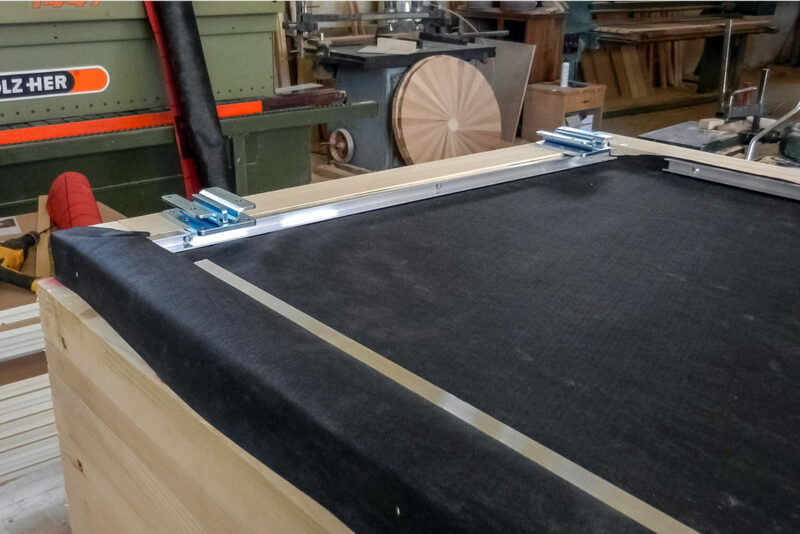 It worked well on this individual wooden box containing insulation once the connection with the finishing panel had been optimized. 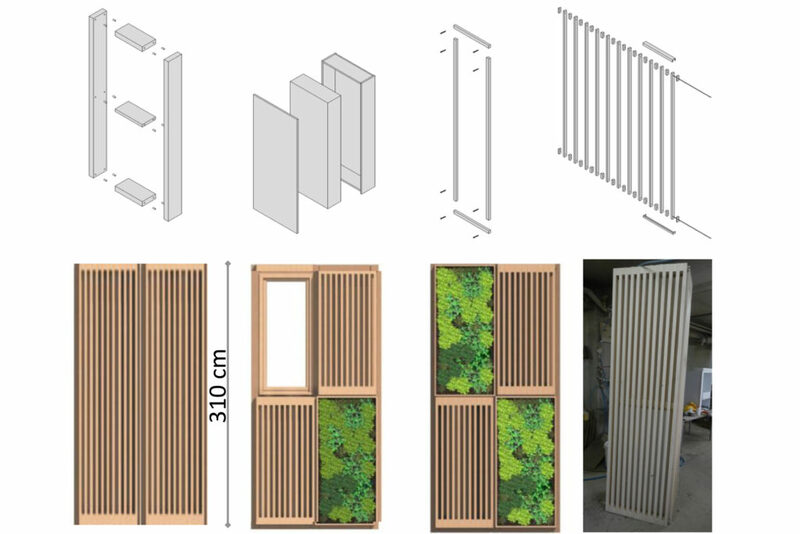 Overview of and assembly steps of reversible A++ façade system. 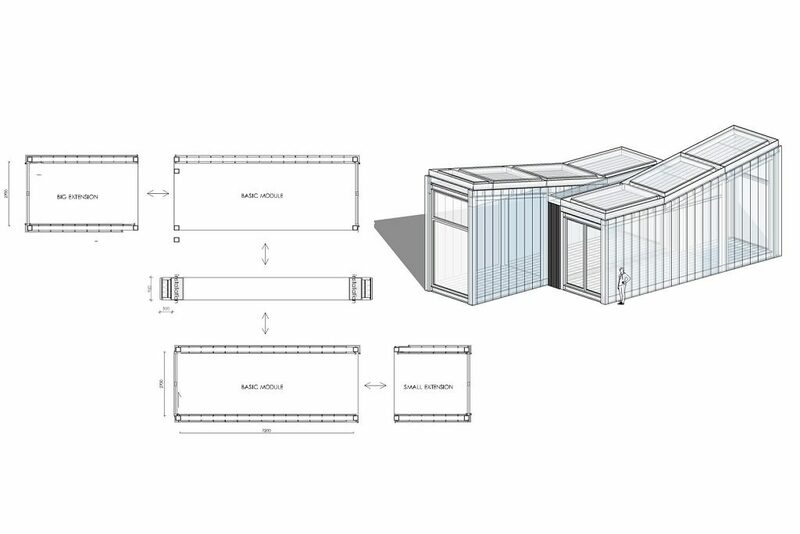 The system permits four reuse and transformation options of the façade system. 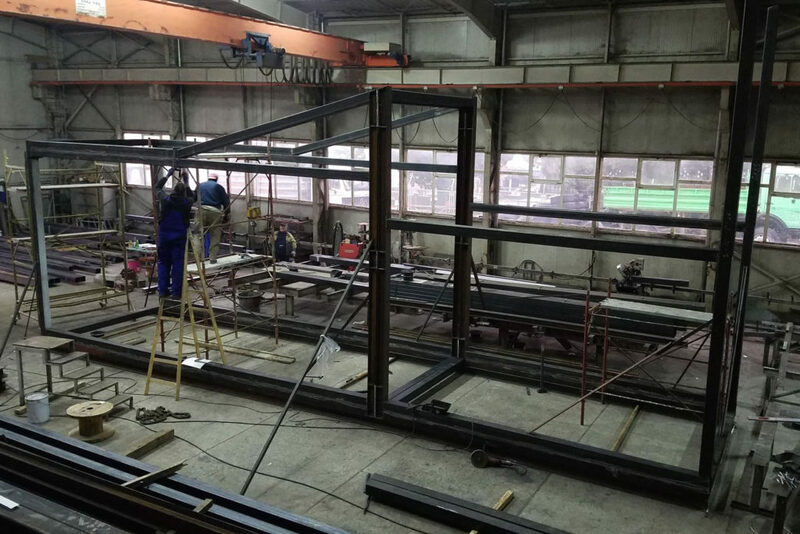 Sarajevo Green Design Foundation has contracted “Konstrukcija” to produce the steel structure of the first 2+2 prefab units forming the first setup and transformation of the Green Design Center in Mostar.